This is a great question that many people are continually looking to understand. Much like a car, your costs can vary greatly. Some of the main factors that go into these different costs are the size of boat, model, make and engine type. The costs of maintaining a Ford vs a Ferrari are very different much like the costs of maintaining a 24ft center console vs a 60ft motor yacht will differ. It is a pretty good rule of thumb that the larger your boat the greater cost to properly maintain it. The more boat you have, the more systems that will be on your boat and therefore, the more complex keeping it maintained can get. Also, larger boats require larger (or additional) engines. Today, boats are getting bigger and faster meaning some boats can have as many 5 engines! Getting an idea of the size of boat you want is an important first step towards making the correct decision in your buying process. How do you plan on using the boat? This is a great question to ask yourself. 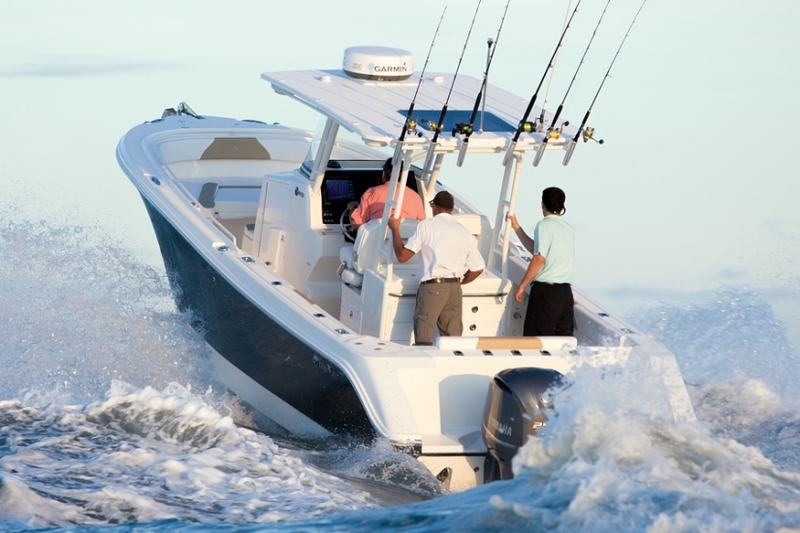 Right now try to narrow down 2-3 activities you will most frequently be doing with your boat. No one boat does everything perfectly. Your first two initial thoughts of what will be your main areas of use are usually what you will be doing 75% of the time. From there, you can start narrowing down your options. A couple models/types of boats to get you started would be the following. This serves as a starting point, as maintenance may vary depending on equipment. Are you in the market for a premium brand or is it a price point brand? We understand everyone has a budget we are here to help you meet that budget while getting you into the best boat for your budget. One difference between boats and vehicles is that unlike a premium car where the cost of service to maintain the car typically increases as you go up in quality, you will typically see the maintenance and service cost of a quality, premium boat be less than that of a price point boat. A 10-year-old price point boat is likely to have more potential problems than a 10-year-old premium brand. One factor to take in consideration is how long you plan to keep the boat. Saltwater especially is an element that can age a boat quickly if it’s not properly maintained, but having a high-quality boat that is maintained and serviced appropriately will last you as long you desire. Engine type is probably the largest factor into how much it will cost to maintain your new boat properly. An easy rule of thumb is that diesel engines are going to be a more expensive to maintain than gas engines but in turn, diesel engines also typically have a longer lifespan. From gas to diesel then you can break it down to 6 different types of drive types. No matter your engine or drive type, you will want to service your engine at least once a year. (Or more frequently if your engine hours exceed 100 hours annually – consult with your certified mechanic for specific details). Cost will very per engine depending upon engine size, accessibility and the details of what exactly is being performed. Some services like a 1,000-hour service for large diesel engines can vary extensively but these services are also necessary to proper engine performance and maximum longevity. A significant key to stress free boating is staying up to date on your recommended engine services. We hope this short article helps answer your questions about boat maintenance and get you started in the right direction. Please feel free to contact us here at the Tom George Yacht Group for more detailed information. Happy Boating!